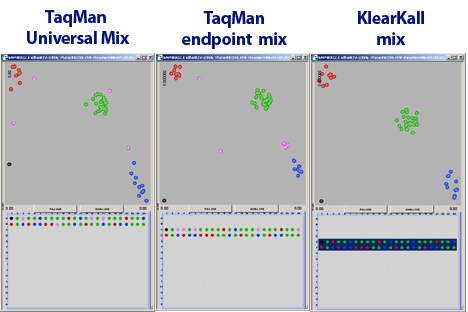 KlearKall Master mix is a convenient 2X mix for probe-based genotyping and is compatible with most qPCR instruments and FRET-capable plate readers. 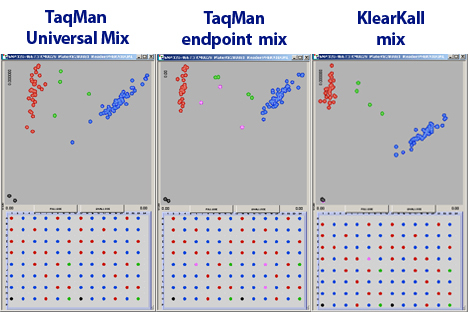 ROX, a passive internal reference dye for precise data analysis. Bench top stability for ease and flexibility of experiment set up. 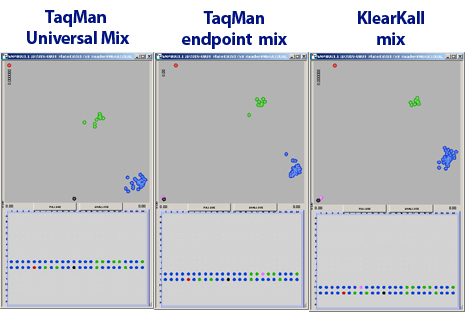 The purchase of this kit to perform the 5’ nuclease assay does not convey a license to any patents that may be in existence for this technology. For research use only. Not for use in diagnostic procedures. 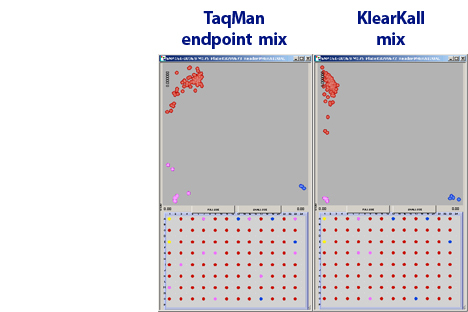 The data plot below illustrates results from an endpoint genotyping reaction that has been run with KlearKall Master mix and a TaqMan probe-based genotyping assay. 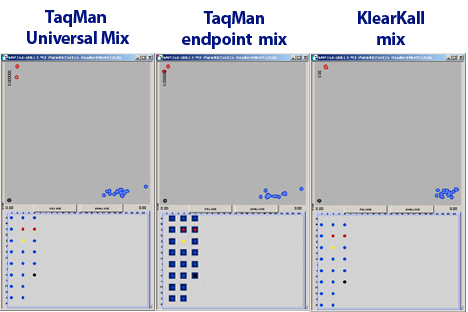 Three different sources of genomic DNA were assessed with three different Taqman® reactions mixes, two from ABI and KlearKall. 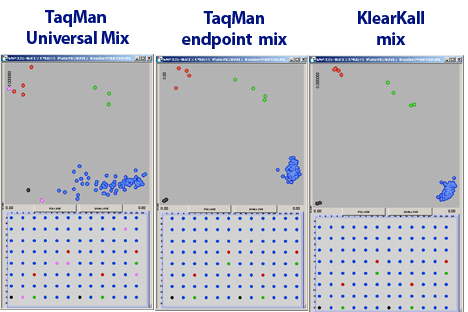 It should be noted that the DNA was chosen due to its low quality to emphasise the difference that the Taqman® mix can have on the data.